A medieval wonder bordered by ancient city walls built to protect the character filled gem within. 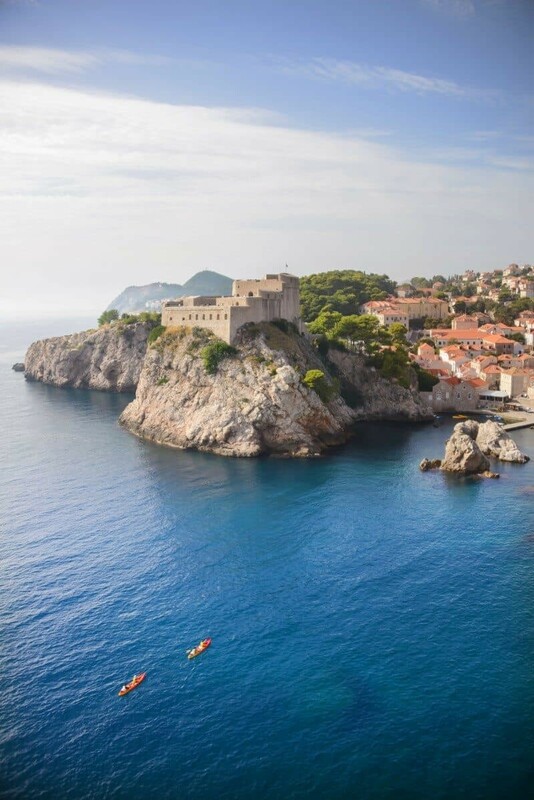 Dubrovnik has a way of enchanting everyone that witnesses its glorious seaside skyline of stone facades and orange tiles. You can research and see as many photos as possible before visiting but nothing compares to seeing this marvel in person. History has been harsh on this defiant city with the last siege happening as recently as 1991. 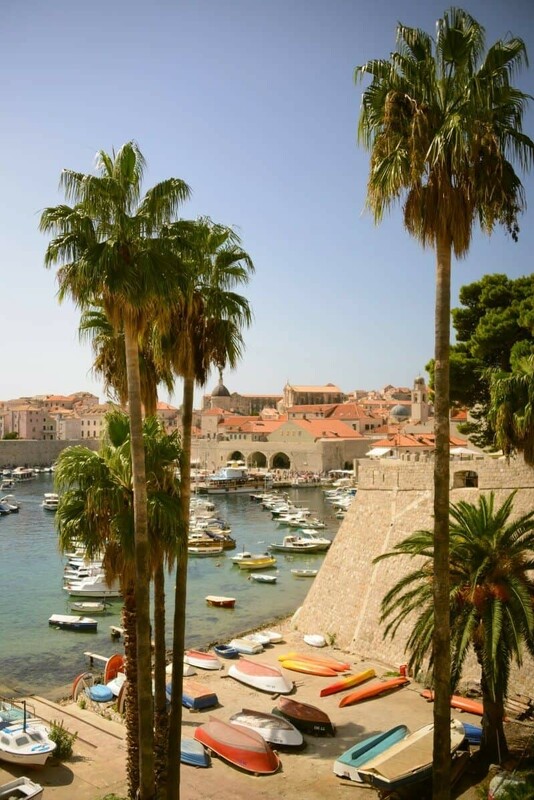 Dubrovnik however is now blossoming and with its recent Hollywood moment in the Game of Thrones, its magnificent beauty is on show for the world to see. 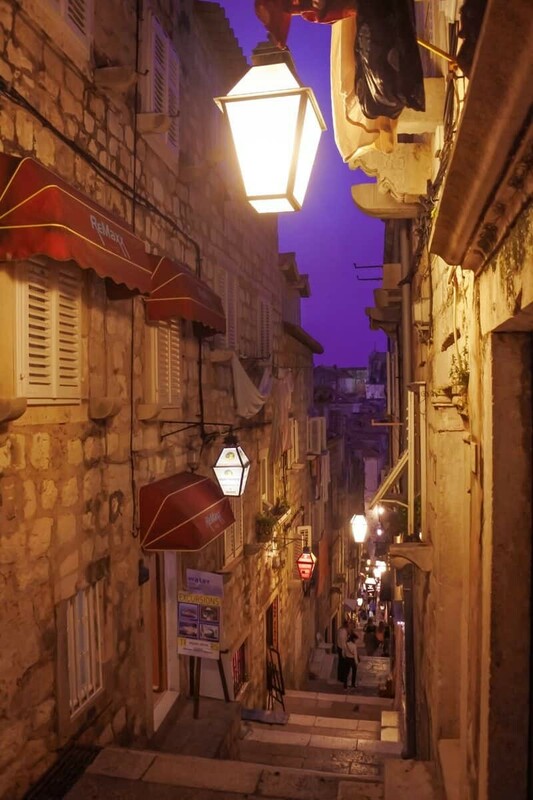 If you’ve got Dubrovnik in your upcoming travel plans, be sure to read the guide below which lists the best places to photograph and things to do in this intricately and impeccably well maintained Croatian city. 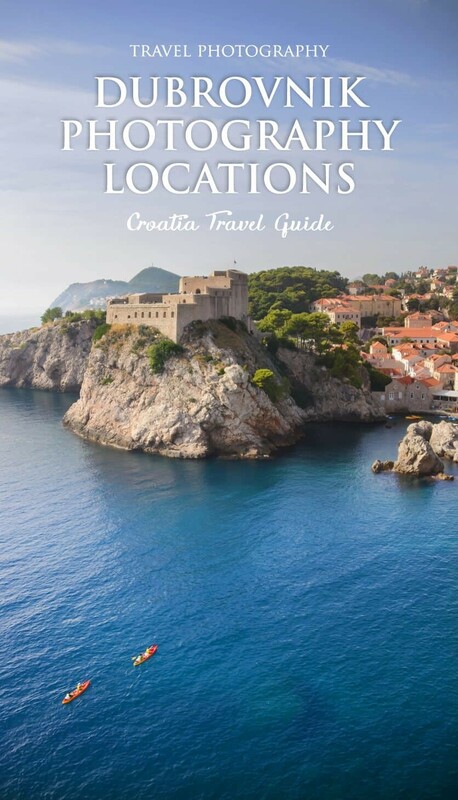 At the bottom of this guide you’ll also find a map with walking tour details to take yourself on a photo walk of Dubrovnik. 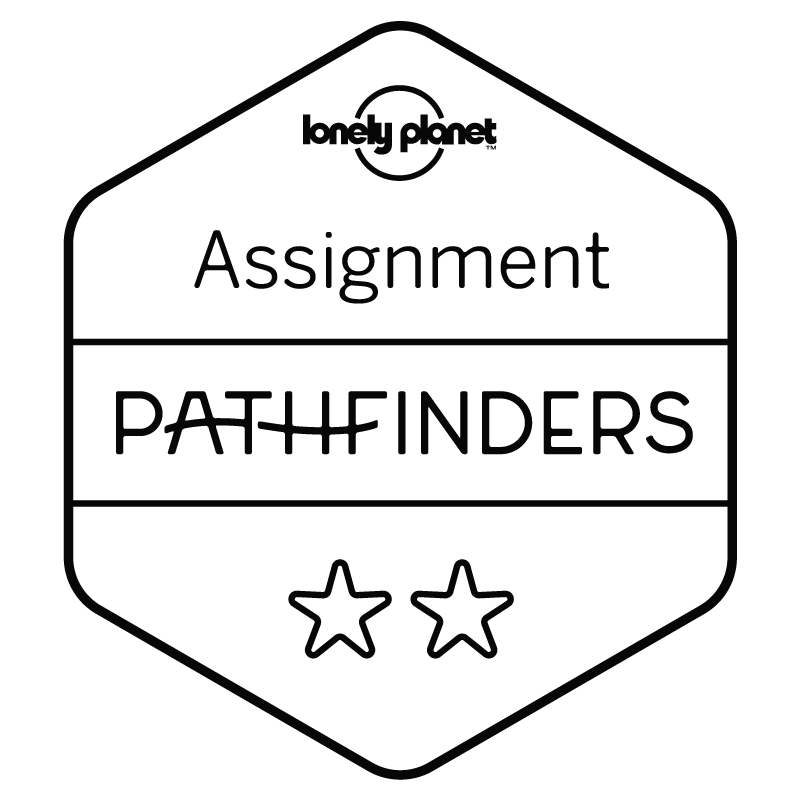 Read more: For more photography location guides to other cities and regions around the world, click through to the ‘Destination Guides’ section. 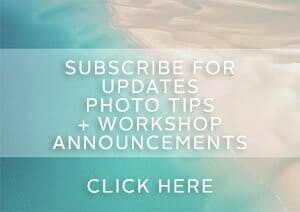 Things to do in Dubrovnik + Where to Photograph! 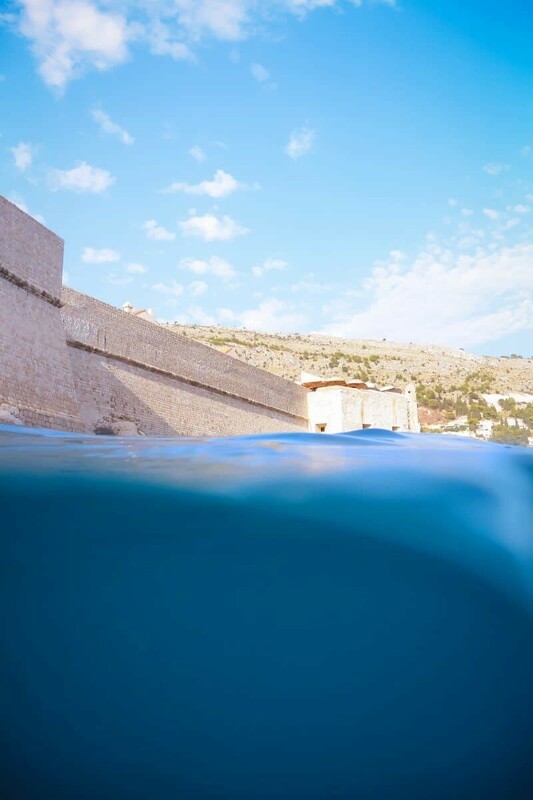 Below you’ll find the best locations to photograph from the sea, the walls, the old town and a few other spots I found during the week I spent wandering and researching…if you’ve stumbled upon this guide and aren’t totally into photography, there’s plenty of things to do in Dubrovnik that will keep you occupied, many of which are at the same locations noted within this guide! 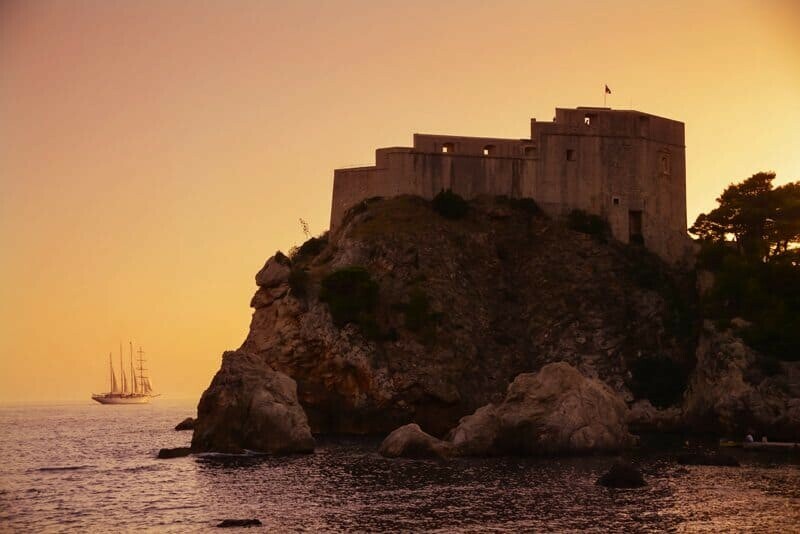 Thrust into the limelight in the recent hit series Game of Thrones, Fort Lovrijenac is a mighty 11th century building perched overlooking Dubrovnik from the west. Sitting on top of a 37m high rock, Lovrijenac offers views over the city walls, Adriatic Sea and the entire old town of Dubrovnik. 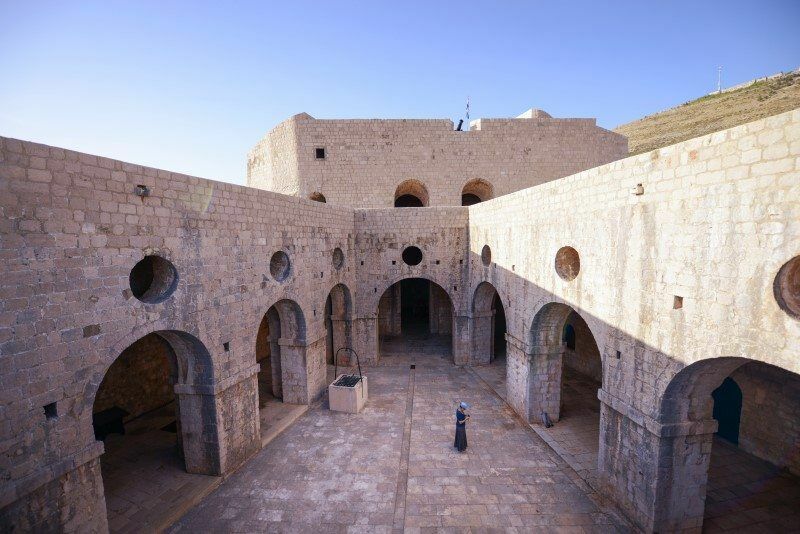 Inside the fort is also worth photographing with three levels, a quadrilateral court and high stone arches. Before entering the fort take a peek over the edge looking west, you’ll find a beautiful little cove and beach for a swim afterwards! 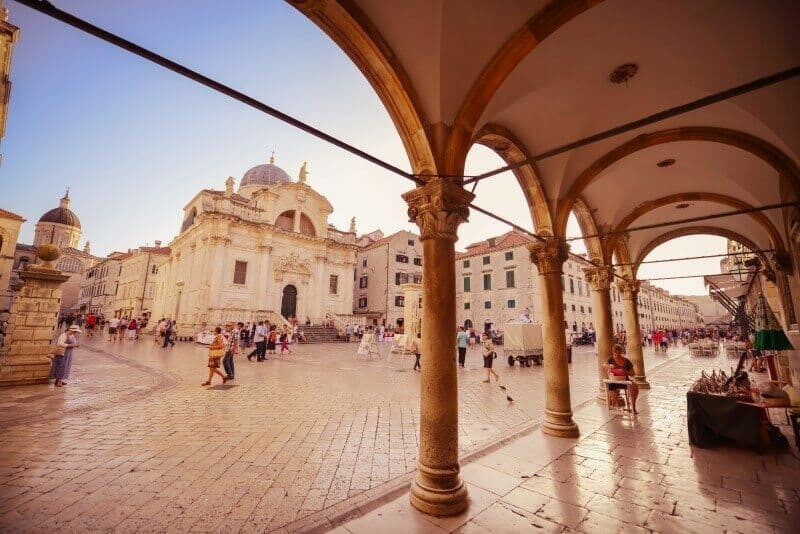 In the centre of Dubrovnik’s old town, this square will fast become your meeting place or point of reference. With the beautiful Church of Saint Blaise, Rector’s Palace, Orlando’s Column and Sponza Palace all located here, it’s worth spending a few hours or multiple visits to capture this historic square in the day and evening. 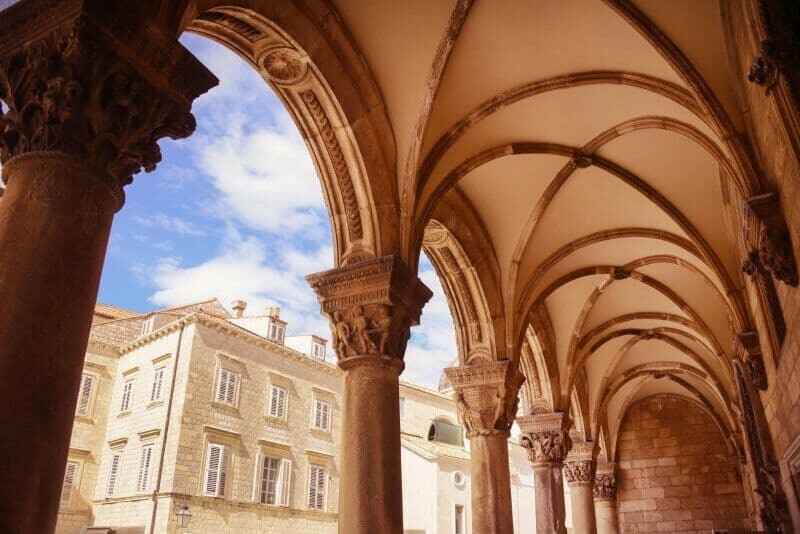 Rector’s Palace is the ideal place to take a seat under the arches on the worn stone seats and watch the world go by. Dubrovnik Photo tip: You won’t be alone here so try and use people in your composition or cut them out by focusing on the ornate detailing of the buildings. Follow the road from Ploce Gate on the way to Banje Beach and along the way you’ll see a little arch made of stone with the name ‘Komarda’ written on the lamp. 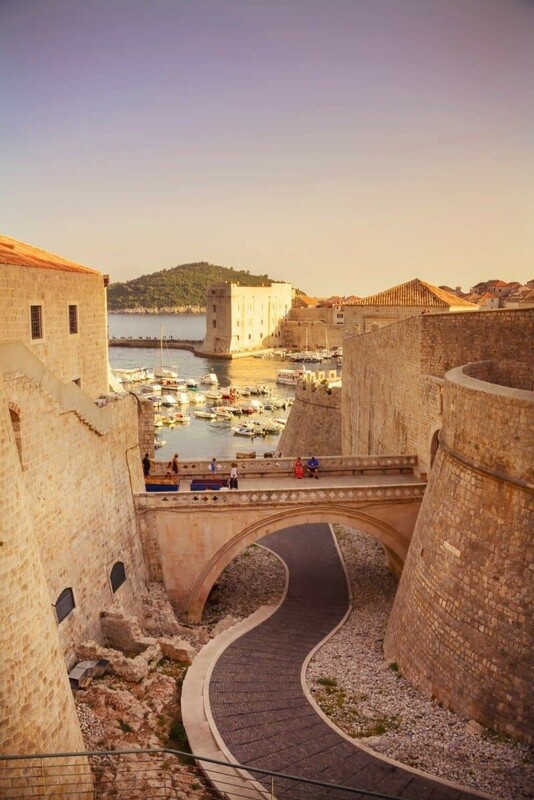 Take this stair case down past Komarda Restaurant and you’ll find yourself with the best vantage point of Dubrovnik Port. Pick a rock, go for a swim, have a picnic or like me, capture some split-level shots of the city skyline from the water. I was so happy to find this little part of Dubrovnik and am very excited to share it with you all. Sure a few other people know about it but you’ll find most tourists stick to Banje Beach or back in the old town, leaving this little gem for you to explore in peace! Dubrovnik Picnic Tip: Just before you reach the stairs there is a little supermarket and bakery so you can stock up on goodies for a lazy afternoon by the seaside. 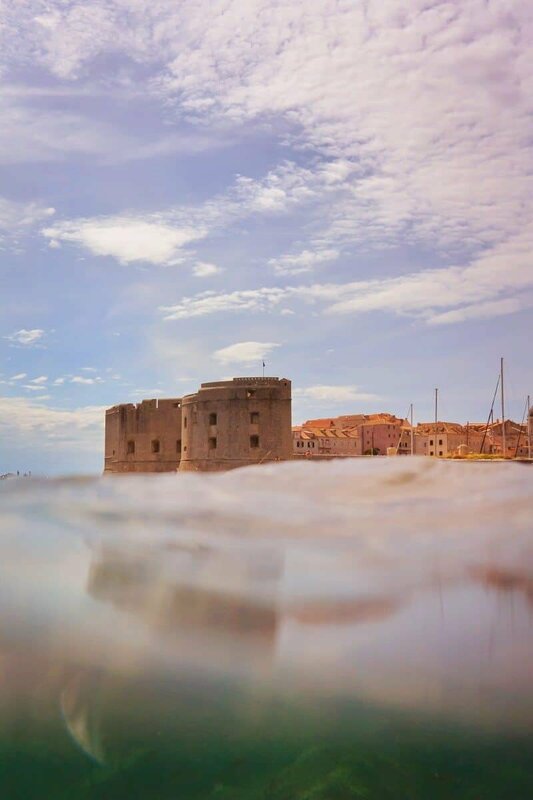 Located at the entrance of Dubrovnik’s Port, this imposing structure was built in the 14th century but had various defence modifications in the 15th and 16th centuries to make it the monumental success it proved to be. Now housed inside the tower is an Aquarium and Maritime Museum, for photography purposes, it’s the outside that provides many angles. 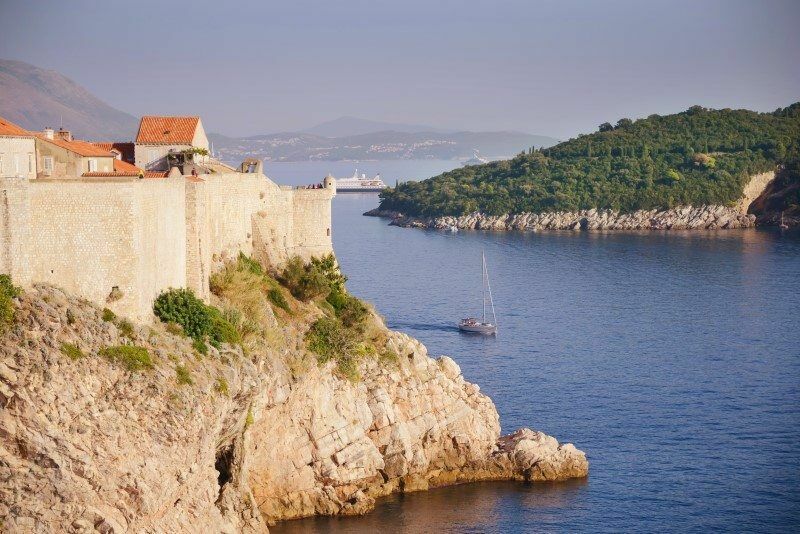 The fortress of St John can be captured from across the port, on top of the city walls or from the water. 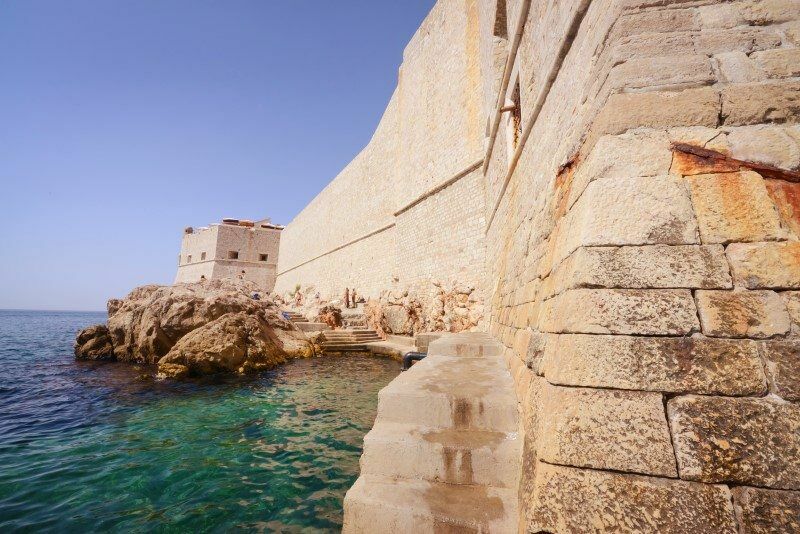 Just below the fortress on the sea side is a little ladder where you can jump into the sea and shoot some creative split-level landscapes. The path around the port is also full of opportunities with fishermen on their wooden boats cleaning fish to friendly cats and dogs lazing in the sun. Just a side note on the animals…I was amazed to see the stray cats and dogs looking so healthy, and I think I know why. I saw a number of volunteers carrying packets of cat/dog food and placing little trays down, such a sweet approach to keeping them happy and healthy! 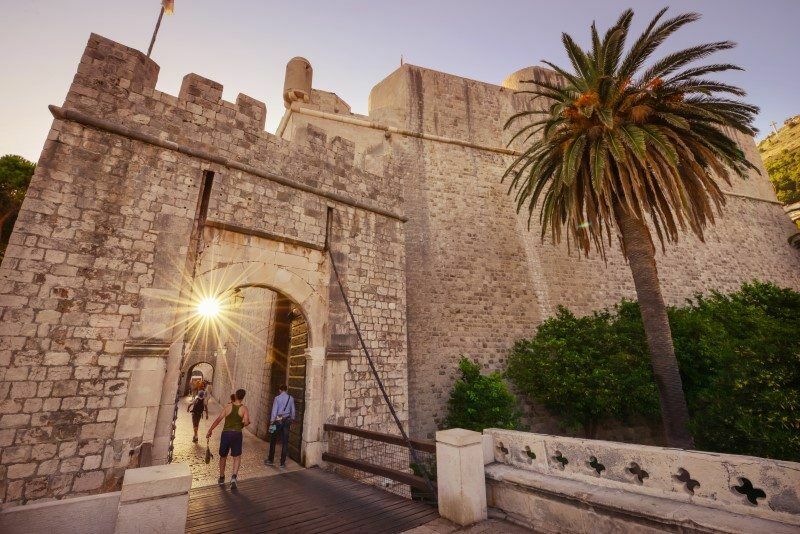 Dubrovnik Photo tip: In the afternoon you can play with sun stars and low glowing light on the corners of the fort by wandering around the base and capturing various angles looking back toward the city. Best angle: When exiting the old town through Ploče Gate, turn left and wander along Ulica Iza Grada (the street that goes around the old town) until you spot the little bridge looking down towards the port. 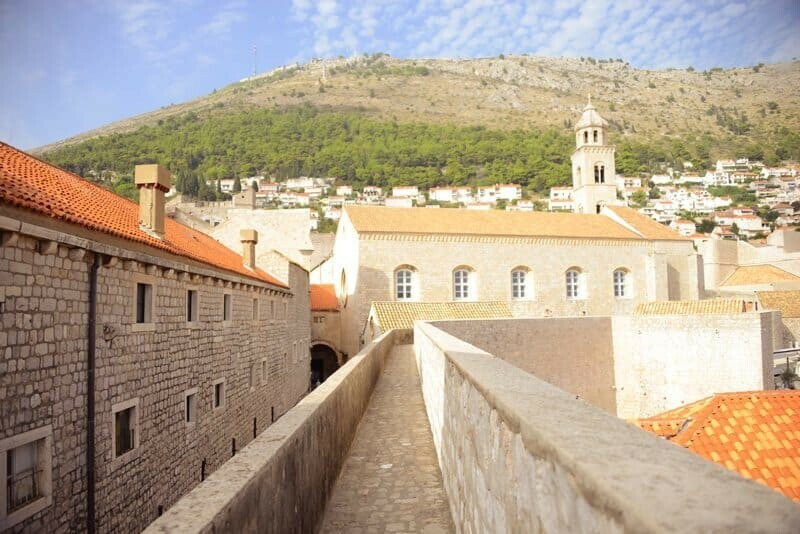 Walking the city walls of Dubrovnik is an absolutely essential experience when visiting this medieval city. The walls rise up to 16m in some points and you’ll wander through forts and above the terracotta roof tops of the old town. The photography vantage points are endless, be sure to take an empty memory card because the possibilities just don’t stop. My favourite pit stop was on the western side of the wall just above Fort Bokar. Here there are incredible views looking back towards Fort Lovrijenac and an ice cream stand. Bonus! Sure the words ‘Cable Car’ scream tourist trap but the view from the top is more than worth the admission fee and looking like a tourist for ten minutes. 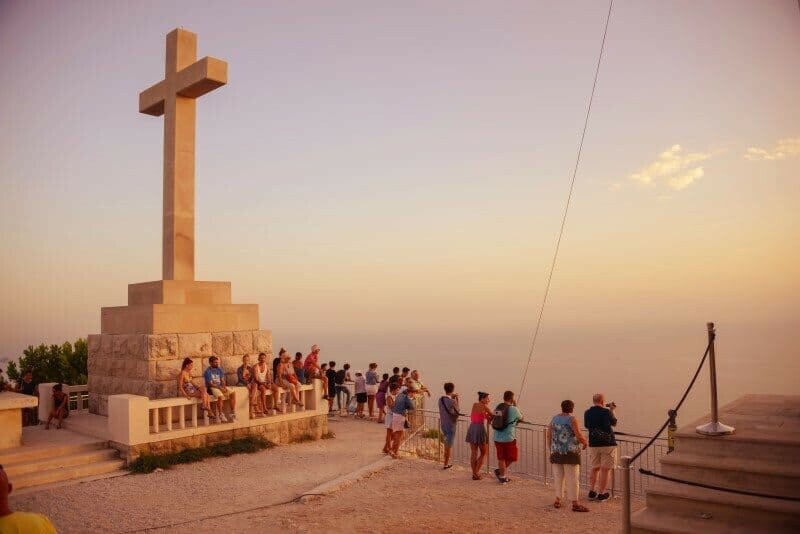 Once you arrive at the top of Srđ Mountain, forget the viewing platform beside the cable car and head down the stairs and around to the east of the building to The White Cross. This is where the view will blow you away. 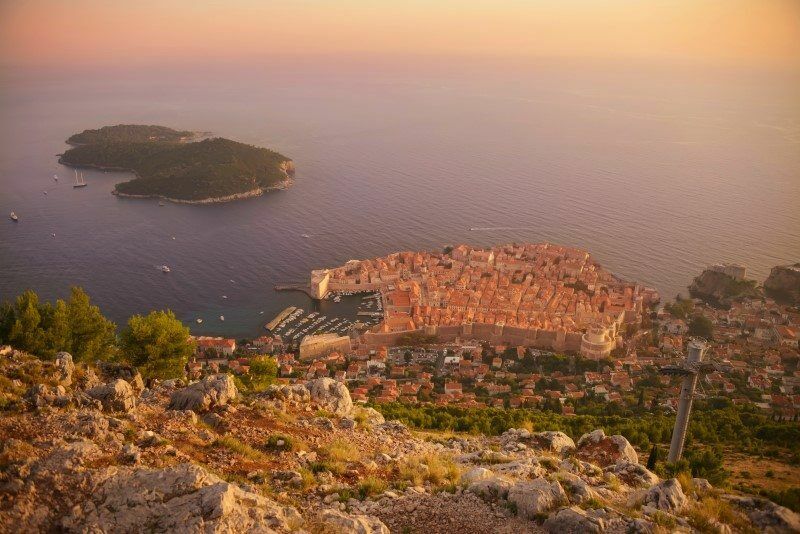 The vantage point over the old town of Dubrovnik is as good as being in a plane or helicopter and you’ve got the benefit of also seeing the mountainous coastline towards Cavtat and across the sea to Lokrum Island. If you’re keen, you can also hike up the mountain instead of taking the Cable Car. The path is pretty steep and rocky but you’ll be able to capture the changing views from different heights. The walking track is visible in the map below. 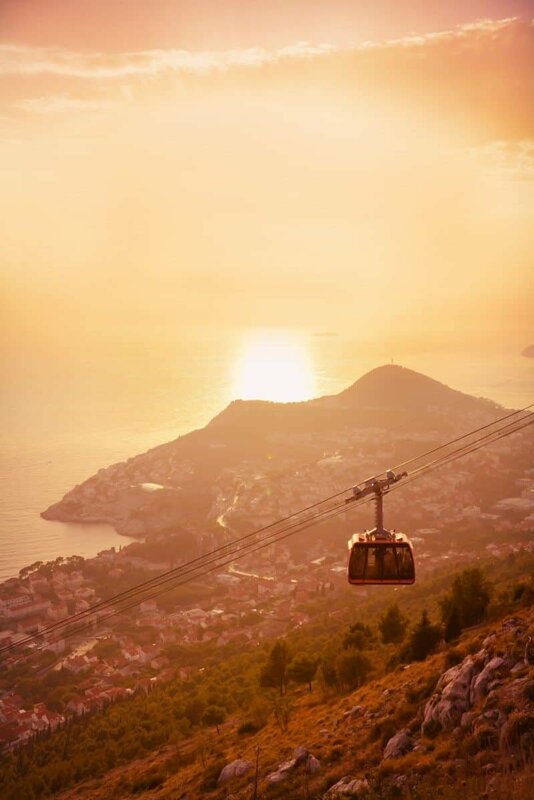 Best time to photograph: Sunset and dusk from Srđ Mountain is unbeatable so arrive about an hour before to ensure you can watch the sun slowly change the colours of the buildings across this beautiful city. 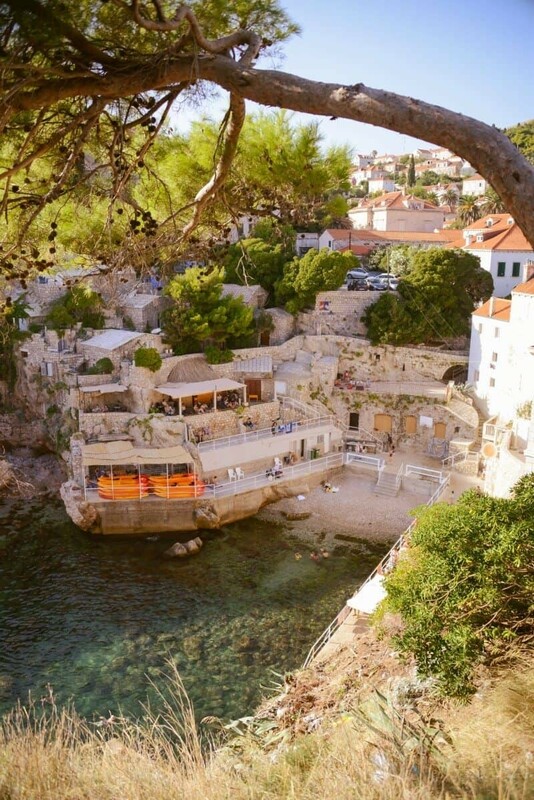 Accessible through a hole in the city walls, this bar perched in the rocks is a great places to spend the afternoon by the sea. 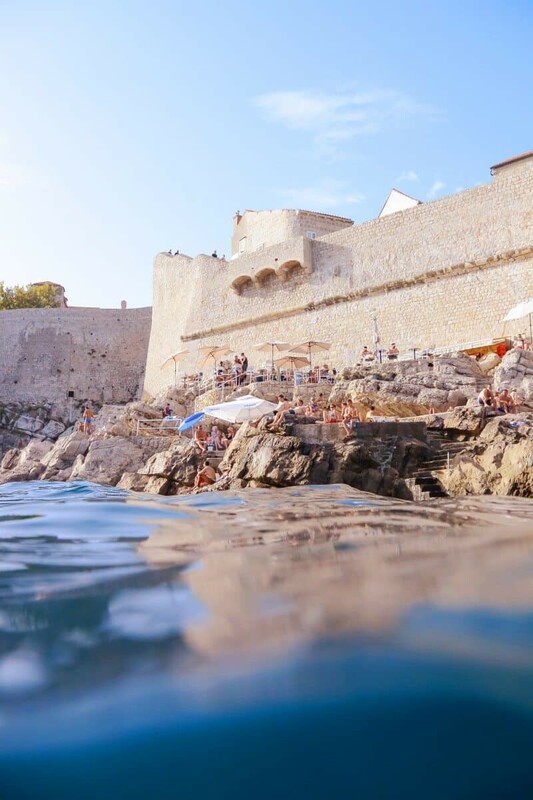 Photograph people jumping into the sea, grab your underwater camera and capture some unique angles of the city walls or simply soak up the sun and have a cool drink. Best time of day: Morning to early afternoon, can get a little shadowy in the late afternoon. Mid-morning is best for underwater shoots. 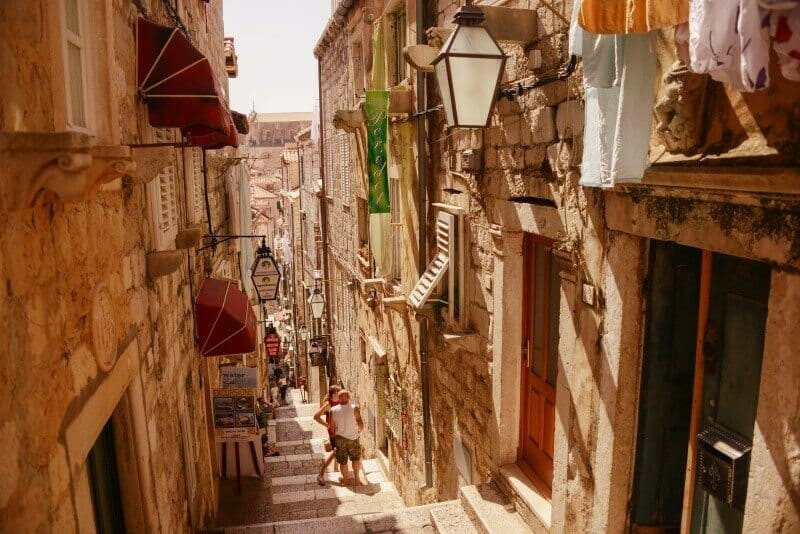 Just within the walls of the old town you’ll find Peline Ulica, a street that runs parallel to the northern walls and sits up high above the city. When entering from the north you’ll be completely surprised by just how steep this part of the town is. From above it looks flat, even from the sides you would never guess there are over 100 steps to the top. From Peline Ulica you’ll find small alleys leading back towards the main thoroughfare of the old town and they’re photography gold. Lamp posts offer a soft dim light that filters down the stairs in the evening and provides an atmosphere that’s great for night photography. 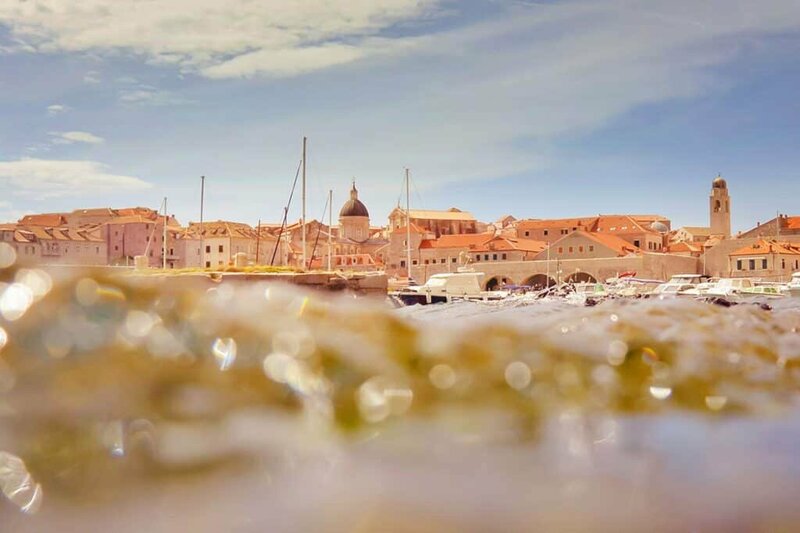 Wander through the quieter alleys in a maze of character under the sea walls on the southern side of the old town. 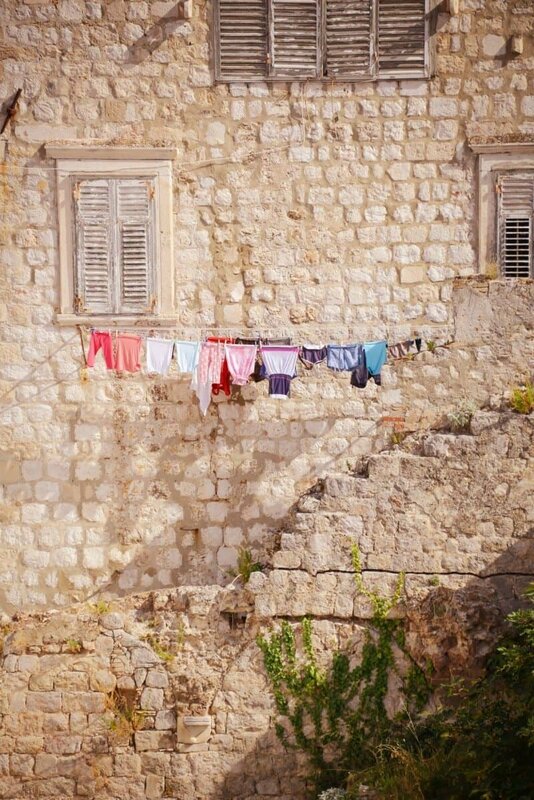 Discover the local way of living, little gardens in stone walls, the odd market stall in someones front window and brightly coloured laundry handing from window shutters. There is no set path to follow here, just get lost amongst the enchanting streets and enjoy being away from tour groups. 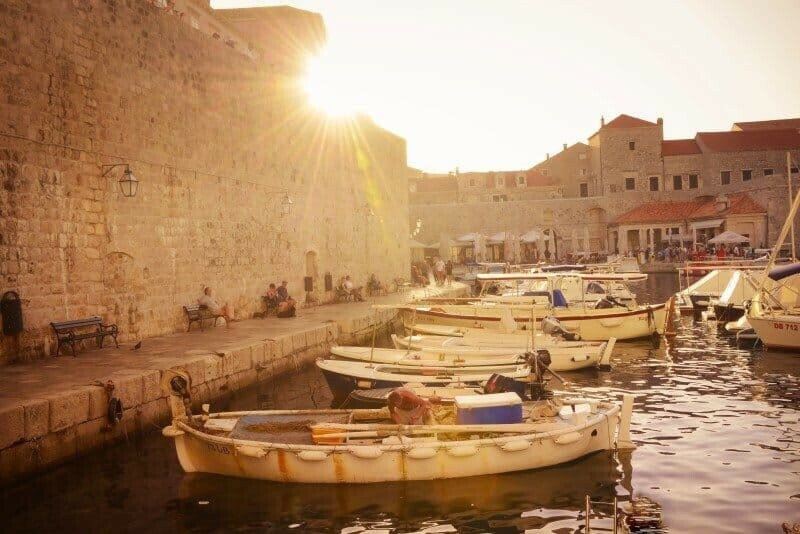 The old town of Dubrovnik is relatively easy to cover in one very full day but to make the most of the late afternoon light which enhances the colours of the city, it’s best to plan for 2-3 days. In the summer months cruise ships dock often in the nearby bay so during the middle of the day expect to see ALOT of people and group tours in the old town. 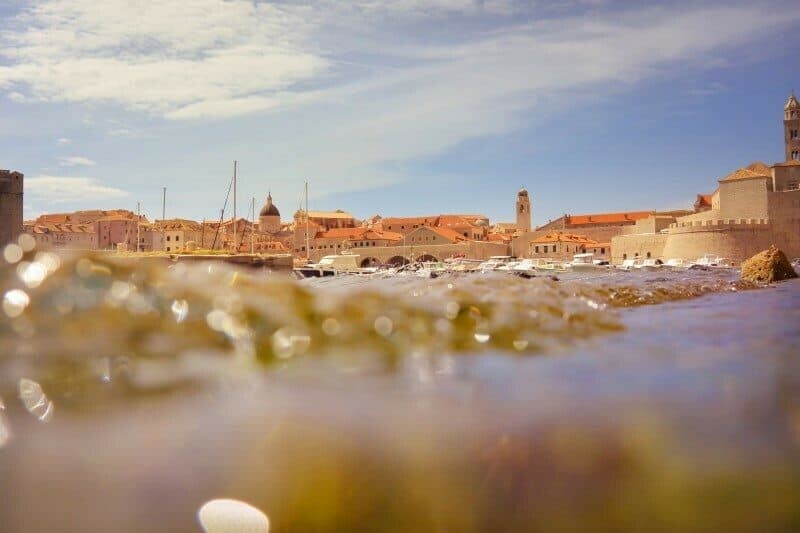 If you’ve got a few days it’s worthwhile to spend the midday hours swimming in the sea or exploring the surrounding islands then head back into the old town in the late afternoon once the crowds have dispersed. Villa Dorma – If you’re looking for a cute hotel that has a reception desk and staff available, just a tiny two minute walk from the city walls you’ll find the friendly Villa Dorma. Spacious and clean rooms with welcoming staff who will even help you carry 30kg of luggage up four storeys of stairs! Thank you!! 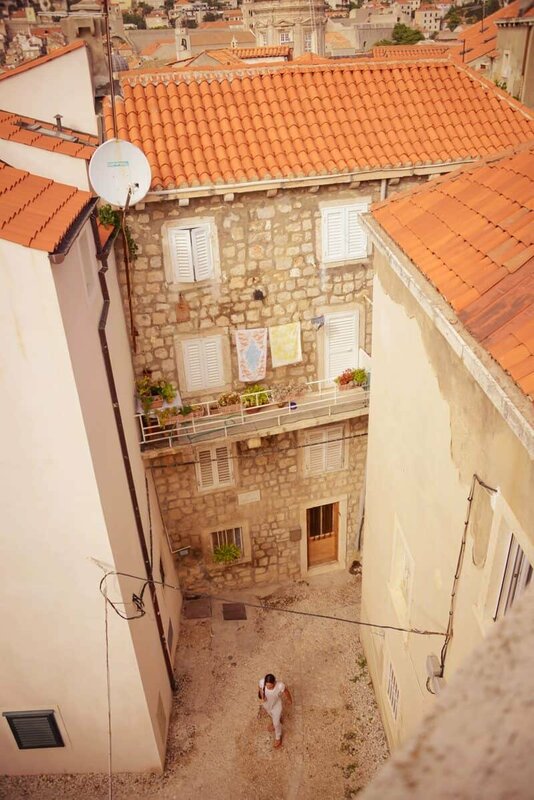 Apartments Grgich – If you’re looking for somewhere to stay that’s close to the old town with a quaint Croatian feel, Apartments Grgich is ideal. Run by the lovely Slavko who was so welcoming and lived in the apartment below, they are self-contained apartments so you can cook and really feel at home. There is also a resident dog who likes to guard the apartment by sleeping on the top step although I didn’t hear him bark once, more cuddly than cranky! I stayed in the attic room with a beautiful little window that opened up with a view over the city walls. With views across the Adriatic Sea from almost every room, this modern hotel provides you with an oasis away from the bustle of Dubrovnik. 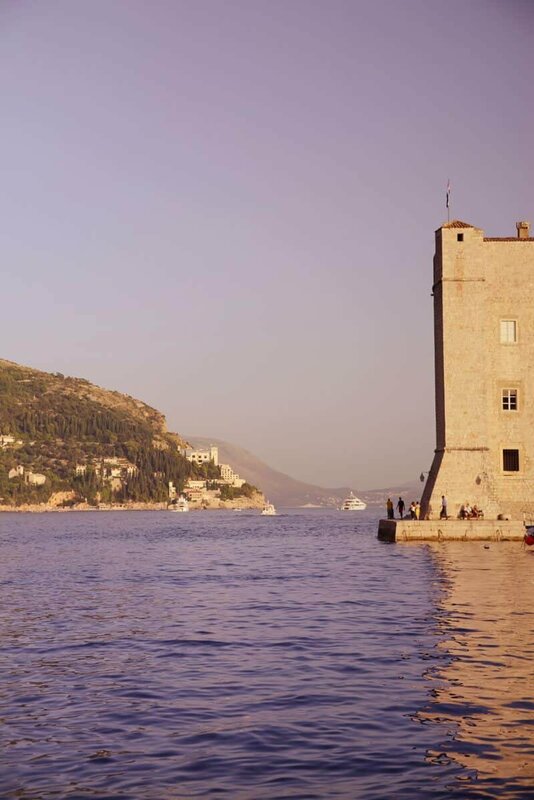 Soak up the Croatian sun in one of the three pools, the crystal clear sea or catch a boat into the old town and sail past the rugged coastline and beautiful bays along the way. 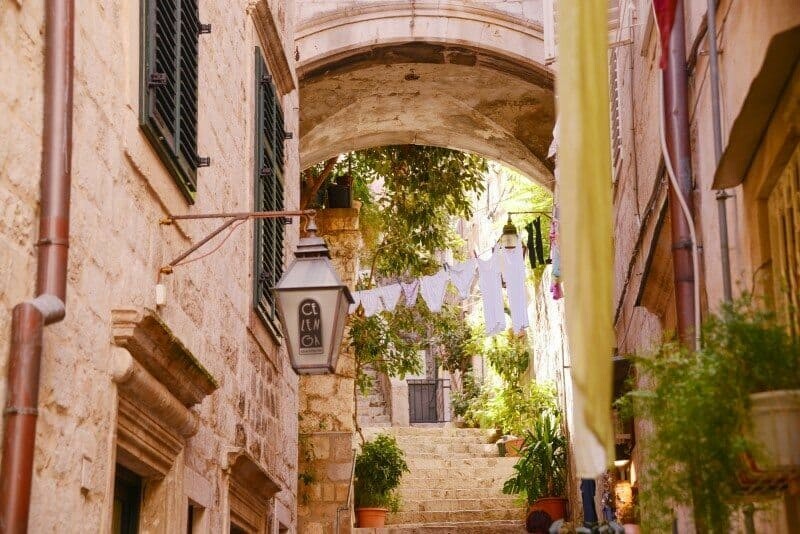 If you’ve been to Dubrovnik and photographed at any of the locations mentioned above, feel free to share your shots on Instagram using the hashtag #thewanderinglens. Do you have any secret spots to add? Let us know in the comments below! Nice composition all the way round! I appreciate your referencing the time of day your shots are taken though I sense most are under mid-day sun. Do you suggest using any filters? 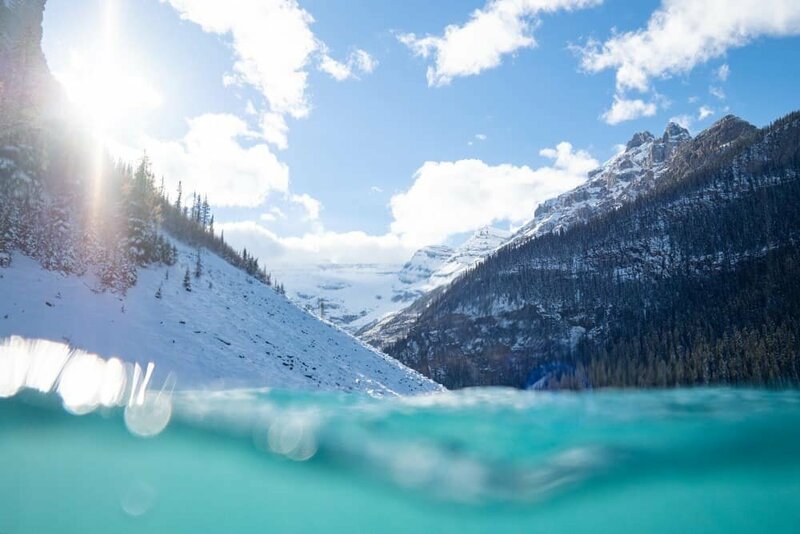 Great photos, can i ask what you used to get the photos half underwater and half above? Thanks Ben! I used my Nikon D800 inside an Aquatech housing with a 14-24mm lens for those shots, I wrote a post all about how I take the split shots and recommended gear here. Maybe you got a tip or two how I could improve it. 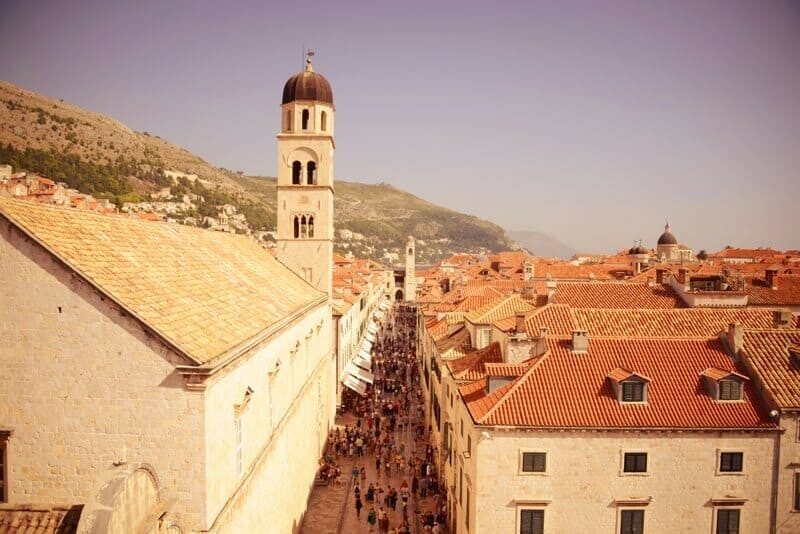 What time of the year have you been to Dubrovnik btw? Keep up the entertaining and good work. I am writing you from Turkey. 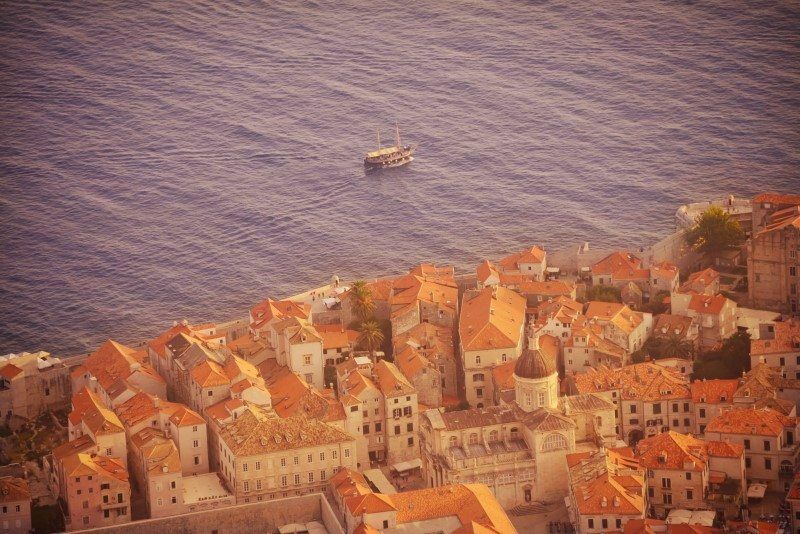 Together with my wife we have planned to be in Dubrovnik from August 28th to Sept 02nd. Just my self, would like to join your photography tour in Dubrovnik. Of course that the arrival dy and also departure day will not be convenient for me. May I kindly ask you to check your agenda and let me know by return the date which will be convenient for you and conditions as well. 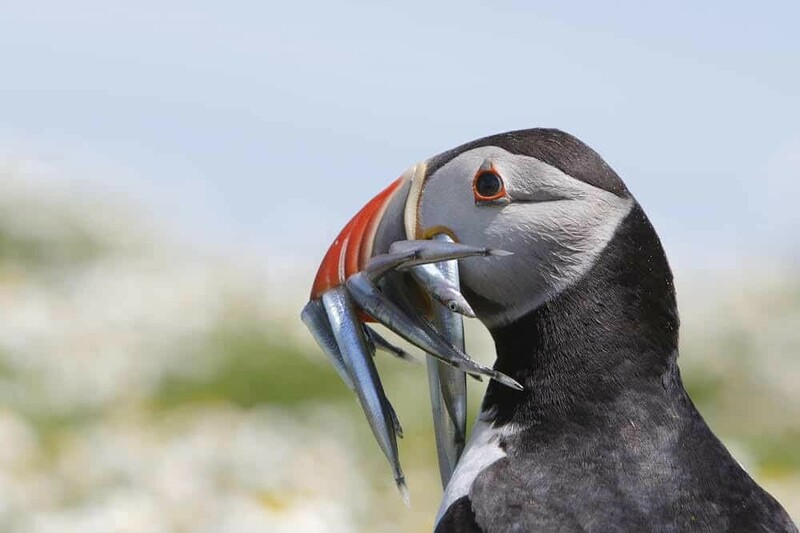 I am using Canon 5D Mark VI, 16/35 – 24/70, 28/300 &100/400 Canon lenses. I believe that 16/35, 24/70 and maybe 28/300 will be suitable for may visit in Duisburg. Meanwhile have a nice weekend. 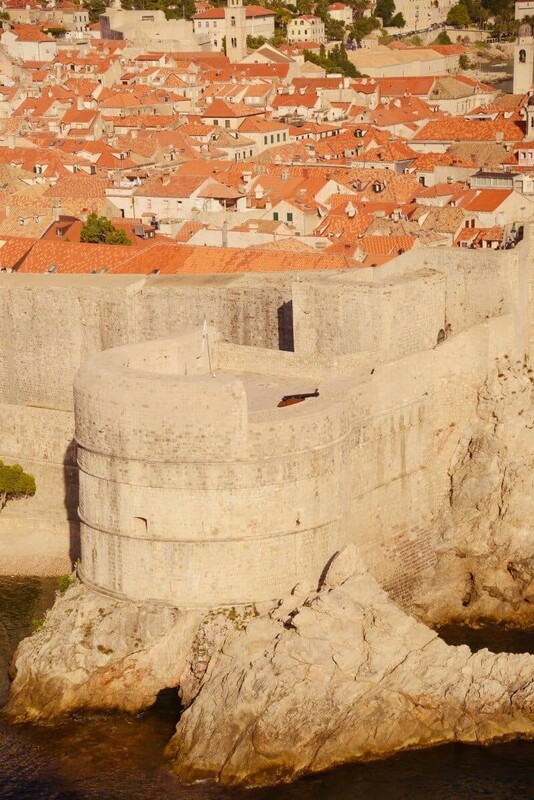 This is actually a guide to photography locations listing places you can visit on your own trip to Dubrovnik. I’m not currently based in Dubrovnik and don’t have any upcoming tours there either. 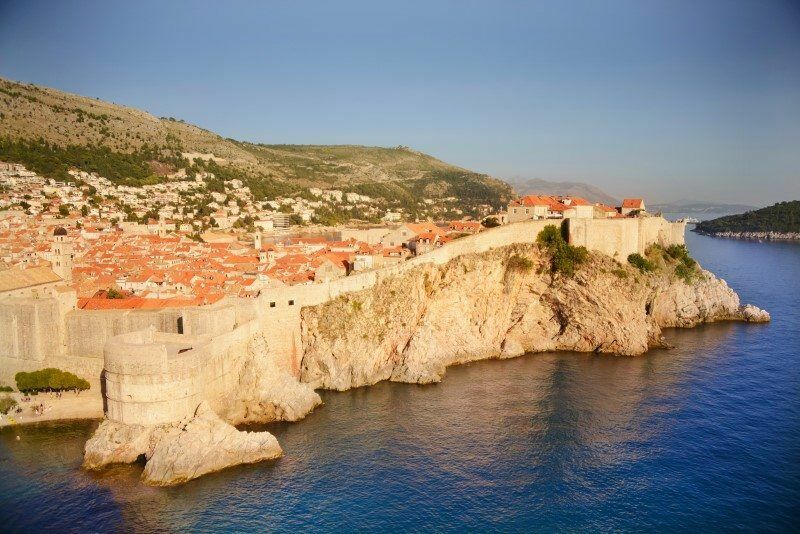 You will find Dubrovnik is very easy to explore on your own, especially throughout the old own and city walls. Photography has always been my dream hobby. I’m still saving up for a perfect camera. And when that time comes Croatia is definitely one of the very first places I plan to visit and photograph. Ever since seeing it on GOT I have been wanting to visit the place. I hope to do so soon. 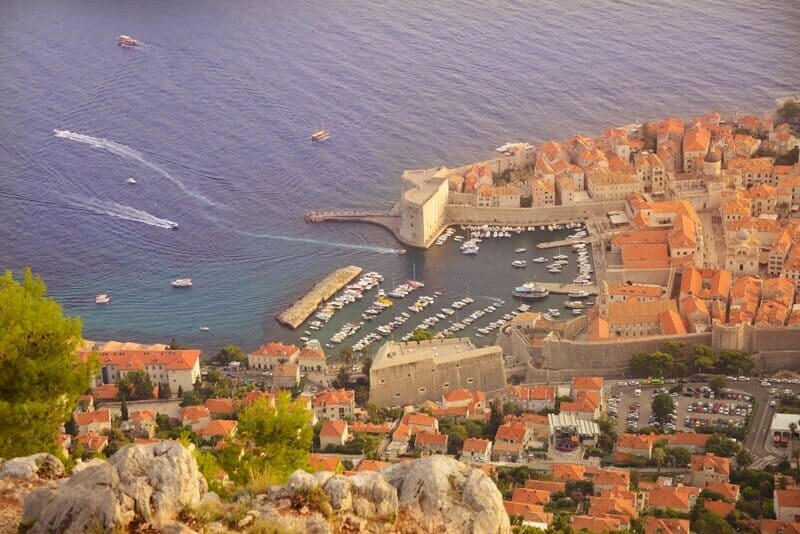 Congratulations for these unique Dubrovnik shots. 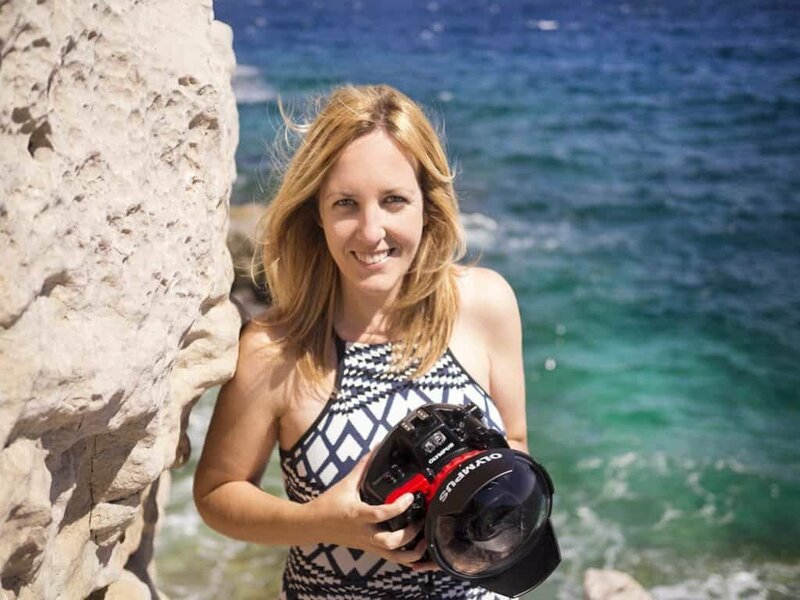 Lisa, thank you for your wonderful photo tips for exploring Dubrovnik. I love your website as well. 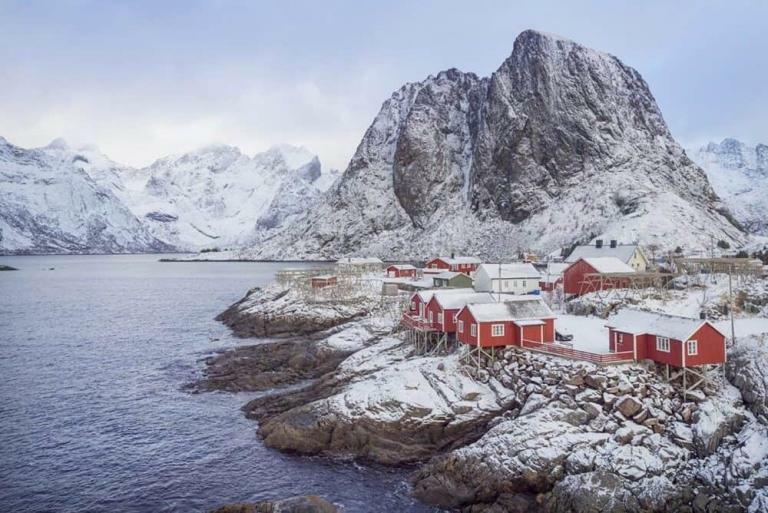 I will be visiting there soon and can’t wait to discover these lovely locations. Again, many thanks! Lisa, so excited to discover your site. 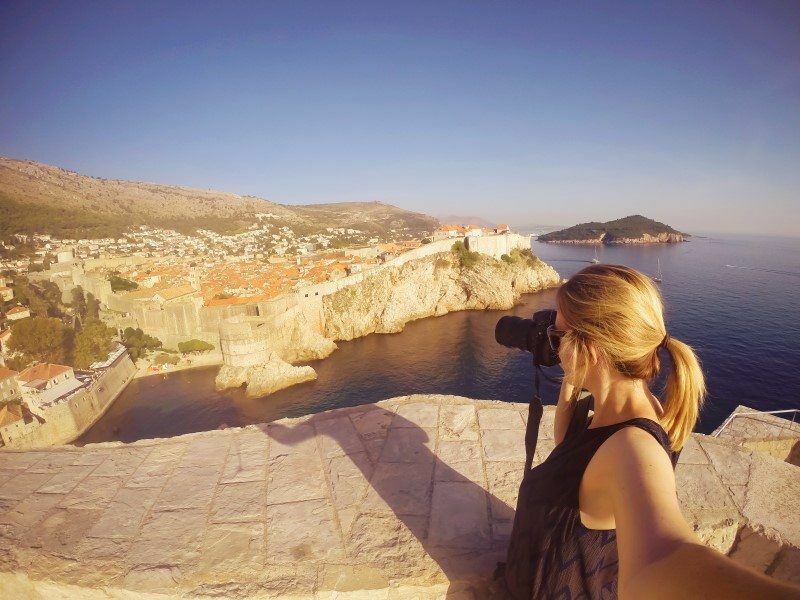 Headed to Dubrovnik in late spring and thoroughlyl enjoyed your guide and photographs!